Six single-stage and fourteen two- and threestage sizes covering a power range from 50 to 18,000 Nm: Our helical gear units always offer an optimum ratio between performance and space requirements. The fine graduation and variety of torque ratings and gear ratios is peerless. They also satisfy demands for high output speeds or low weight due to the many available sizes. The particularly slim-fit parallel-shaft helical gear units are used wherever space is limited. Various mounting positions and designs make for a large range of applications even under adverse conditions. 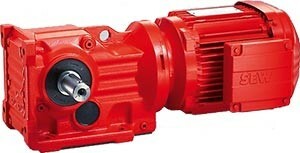 Thanks to its design characteristics and its large torque range from 120 to 18,000 Nm, this standard gear unit is the ideal solution for many materials handling and process engineering applications. The compact design of all our gear units is most obvious in our helical-bevel gear units. They are sophisticated right-angle gear units for all engineering applications that require space-saving installation. At the same time, they offer a powerful torque range from 200 to 50,000 Nm. They ensure a remarkably high degree of efficiency of more than 96 per cent in both directions of rotation and for any input speed. A gear unit built to last: The gearing is designed for high endurance and makes for a high-torque, wear-free drive. 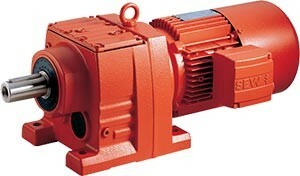 The strength of helical-worm gear units is their simple mechanical structure. 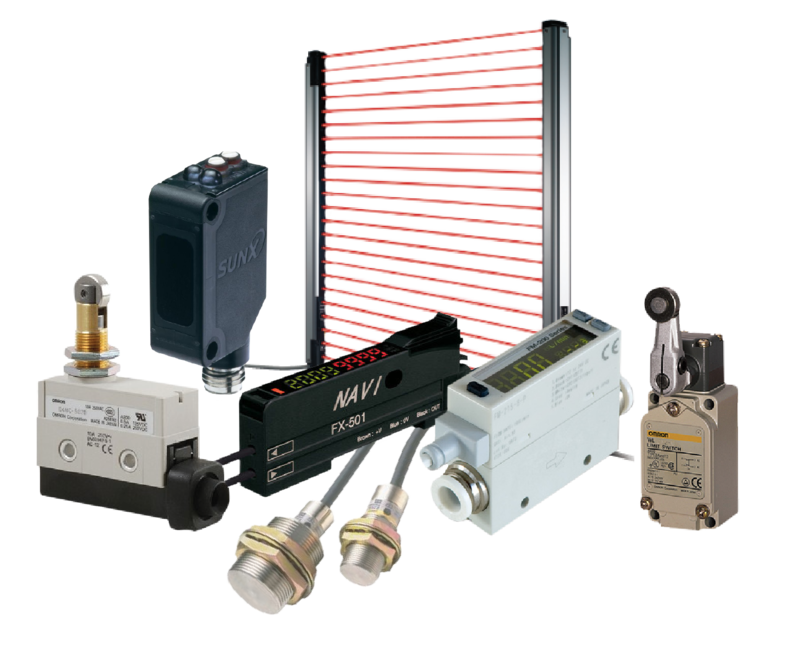 Tailored individually to torque and speed requirements, they save installation space and costs when implemented in simple applications. In addition to the large gear ratio in the worm gear stage, our helical-worm gear units also offer a significantly higher level of efficiency than mere worm gear units. Power is transmitted linearly to the drive shaft and the torque shocks are reduced – making for a low noise level. Their torque range runs from 92 to 4,000 Nm. 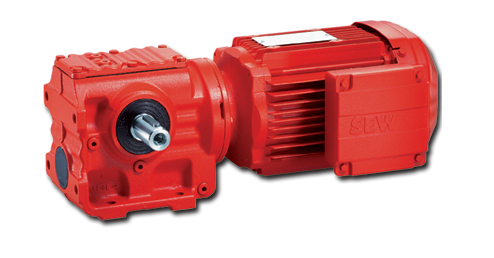 The SPIROPLAN® right-angle gearmotors do their job reliably and quietly: In the power range from 0.09 to 4.0 kW, the SPIROPLAN® series provides output torques up to 180 Nm – its wear-free gearing ensuring very quiet operation. In combination with the compact design and the lightweight aluminum housing, the noise level is almost perfectly low. 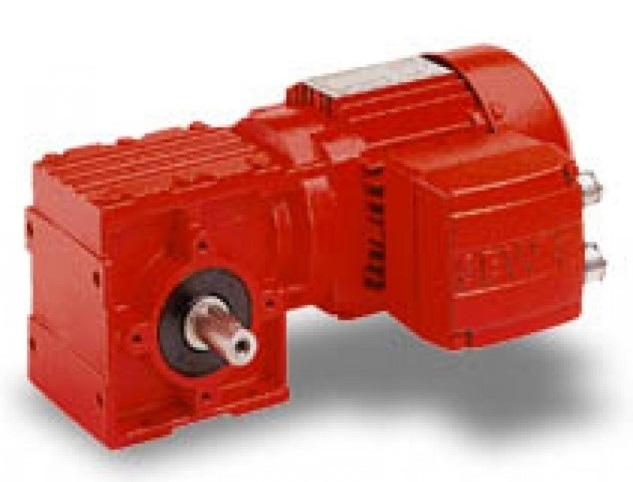 The oil fill is independent of the mounting position, which means SPIROPLAN® gearmotors can be used universally while requiring almost no maintenance. 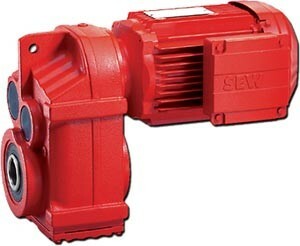 The gear ratio range offers very high output speeds and optimized mechanical efficiency.